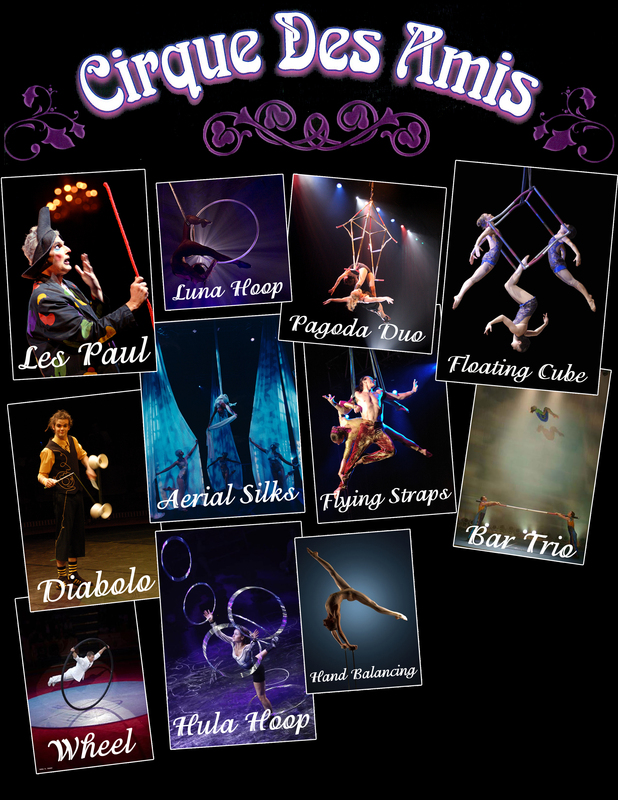 Most cirque routines, whether aerial or floor, will last approximately 6 minutes each. Some routines are 5 mins, some are 7 or 8 mins, therefore the amount of cirque routines making up a show will usually average based on 6 minutes per routine. 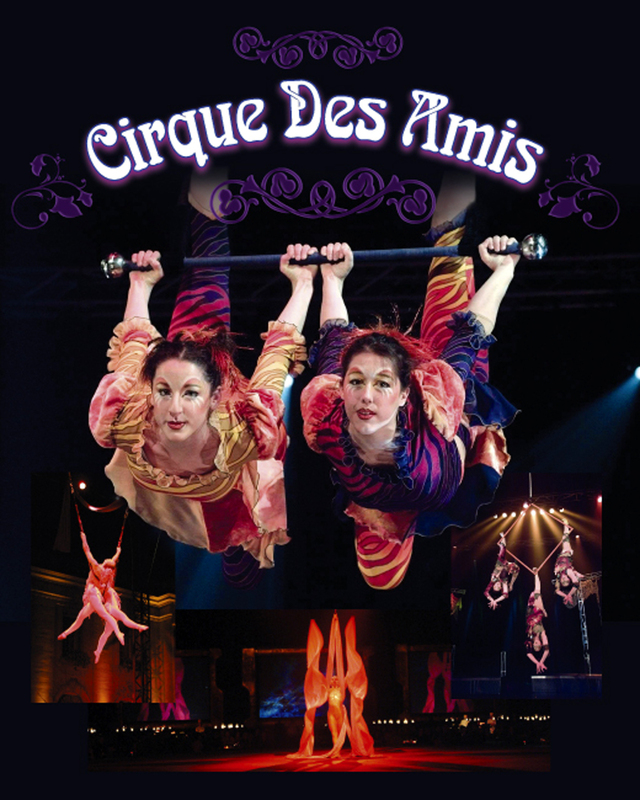 Cirque Des Amis specializes in “À La Carte” productions, meaning that we can usually customize a cirque show based on; – length of show required – specific routines requested – height and floor space restrictions – budget guidelines – adaptability to specific themes and/or requests Other services also offered: – Creative (show directors and artistic directors) – Music composers and musicians – Scenery and drops designers – Costuming and artistic make-up – Choreographers and dancers – Lighting designers – Videographers – Cirque workshops and coaching for “team building” events The majority of the artists at Cirque Des Amis are professional “multi-disciplinary” performers, which means that they excel at a variety of disciplines. This can be an advantage where extra costs are concerned, as a minimum of artists will travel to an engagement while still offering a maximum of performance, thus reducing the extras such as airfares, hotel rooms, per diems, etc, related to the engagement. REMEMBER THE KEY WORD IS “ADAPTATION”. THEREFORE, RATHER THAN GIVE YOU AN EXTENSIVE TECHNICAL RIDER, WE WILL CUSTOM BUILD THE PERFORMANCE BASED ON YOUR VENUE’S SPECS.